Discover the wider Stonehenge World Heritage Site with a guide and discover hidden histories, ancient mysteries, and downland wildlife. Explore the downs in summer with an afternoon walk up on the downs to visit the ancient archaeology and varied wildlife of the Stonehenge World Heritage Site. On this three mile walk with views of the Stone Circle, we’ll visit ancient earthworks that have revealed much about the people who once lived and celebrated here. Talking points include the Cursus, the many and varied barrows, an ancient avenue connecting ceremonial centres, and a rich diversity of wildlife. Dress for the weather – bring a hat and sunscreen as there’s little shade out on the downs – and wear stout footwear. You may like to bring a cooling drink and a snack. Meeting at the Stonehenge car park SP4 7DE (not NT) by the two ‘touching stones’ at the top of the slope that leads down towards the Stonehenge Cafe. Although your guide will tell you about it, this walk doesn’t visit the Stone Circle. You might like to visit it before or after the walk; NT members are admitted free. Access is by pedestrian and farm gates; the terrain is mostly grassland and trackways, often uneven underfoot. Cattle and sheep graze the gently sloping downs. 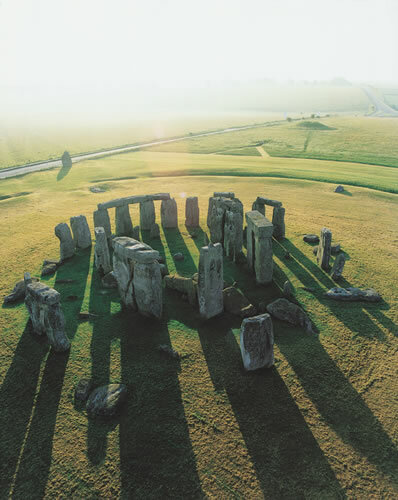 Explore the Stonehenge World Heritage Site and especially the close connections between the two great henge monuments of Durrington Walls and Stonehenge. Your guide will take you on a circuit of around 6 miles over the downs, also exploring some of the less visited monuments that together form the Stonehenge World Heritage Site. Please dress for the weather and wear stout footwear. Wrap up warm ‘ it gets chilly up on the downs! Meeting at Woodhenge Car Park (not NT) (SP4 8LR) – take turn-off signed to Woodhenge from A345 between Amesbury and Durrington. Parking at own risk. No parking charge. Access is by pedestrian and farm gates; the terrain is mostly grassland and trackways, often uneven underfoot. Cattle graze the gently sloping downs. Toilets in Stonehenge Car Park (on walk route). Join our friendly team of astronomers for an adventure exploring the night sky with telescopes, alongside legends told by our own starry storyteller, activities, and toasting marshmallows. As well as learning about the constellations, we hope the Perseid Meteor Shower will be putting on a show! Telescopes and expertise are provided by Chipping Norton Amateur Astronomy Group, storytelling with Lizzie Bryant. Bring a torch. Wrap up warm – we recommend plenty of layers, gloves, scarf and a hat – and wear stout footwear. Bring your own seating and blankets. You may like to bring a drink and a snack, too. Meeting on byway 12, close to the Stonehenge Car Park (which will be closed when the event starts) parking at own risk – OS grid reference SU 120 424, postcode SP4 7DE. Access is by pedestrian and farm gates; the terrain is grassland, and trackways that are uneven underfoot and sometimes potholed. This walk will commemorate the centenary of the Military Aeroplane Competition held at Lark Hill in August 1912 in which Colonel Sam Cody’s bi-plane ‘The Cathedral’ was the outright winner. Walk in the slipstream of the early pioneer military aviators at Larkhill. See where the Bristol Boxkite made its first flight in 1910 and where the first British military aeroplane unit was formed in 1911. These walks will cover how aviation developed on Lark Hill from 1909-1914 and how military aviation ‘took off’around Stonehenge from 1914-1918. These walks aim to recreate the period with contemporary photographs and maps and include viewing the early hangars and crash sites. Please dress for the weather and wear stout footwear. You are welcome to bring a snack and a drink to enjoy on the walk. Meeting on Wood Road, Larkhill, grid reference SU143438; the post code is SP4 8LX. Access is by pedestrian and farm gates; the terrain is public roads, as well as grassland and trackways, uneven underfoot. A 5% booking fee applies. Phone lines are open Mon to Fri 9am-5.30pm, plus Sat and Sun 9am-4pm. Work to realise the long-held vision to return Stonehenge to a more tranquil setting and improve its visitor facilities has officially started. Successful fundraising also means that virtually all of the total project cost has now been secured with only £500,000 left to raise, English Heritage has announced. School children from Greentrees Primary School near Salisbury on a recent visit to Stonehenge. Contractor VINCI Construction UK has taken possession of the site at Airman’s Corner, 1.5 miles to the west of the Stones, to start construction of the new exhibition and visitor building out of sight of the stone circle. In September, the Highways Agency will start work to upgrade Longbarrow Roundabout prior to the closure of the A344 in April 2013. The £27-million project is financed almost entirely by Heritage Lottery Fund money, commercial income and philanthropic donations including significant gifts from the Garfield Weston Foundation, the Linbury Trust and the Wolfson Foundation. 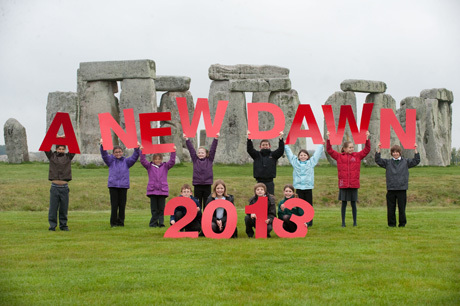 Dr Simon Thurley, Chief Executive of English Heritage, said: “A new dawn at Stonehenge is truly upon us. Though the stones themselves have never failed to awe visitors their setting has been a national embarrassment and disgrace. After nearly 30 years English Heritage finally has a scheme that will transform the setting of the stones and our visitor’s experience of them. The restoration of the landscape together with a major new exhibition on site will finally give our greatest and most famous monument the treatment it deserves. The project, developed with the support of the National Trust, Wiltshire Council, the Highways Agency, and Natural England, will transform the setting of Stonehenge. The section of the A344 which currently runs past the monument – almost touching the Heel Stone – will be closed and grassed over, reuniting the stone circle with its ancient processional way and the surrounding landscape. The remaining part of the A344 will be closed to public vehicles, and will become the route of a new visitor shuttle service to the stones. The existing outdated facilities, car park, fences and clutter near the monument will be removed. Visitors will be welcomed at the new facilities located at Airman’s Corner and, instead of approaching the stone circle from the east on a busy road, they will approach over chalk downland from the west either via a 10-min journey on the visitor shuttle, or on foot. A visit to the stones will, for the first time, be enhanced by a large exhibition which will tell the story of this complex site and its relationship with the wider landscape. 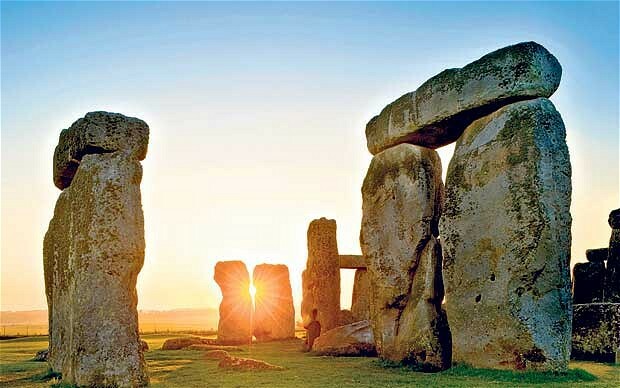 It will feature important objects excavated near Stonehenge on loan from the Wiltshire Heritage Museum and the Salisbury and South Wiltshire Museum. Sensitively designed by Denton Corker Marshall, the low-key visitor building also features education rooms and much improved amenities with full disabled access. In autumn 2013, the new visitor facilities and galleries will open and the A344 will be closed to traffic. (The section of the A344 adjacent to the stones will already have been closed earlier in 2013.) Visitors will be taken to near the stones on a low-impact shuttle, with the option to disembark mid-way at a landscape viewpoint and walk to the stones from there. By summer 2014, the existing car park, toilets, shop and fencing near the stones will have been removed and restoration of the landscape will be well underway. Visitors will be able to walk and enjoy the wider landscape and other outstanding prehistoric monuments. Throughout the construction, Stonehenge will continue to welcome visitors as normal at its existing facilities. An opening date for the new visitor building will be announced in 2013, and the switch-over to the new facilities will be overnight so that there will be no disruption to visitors. 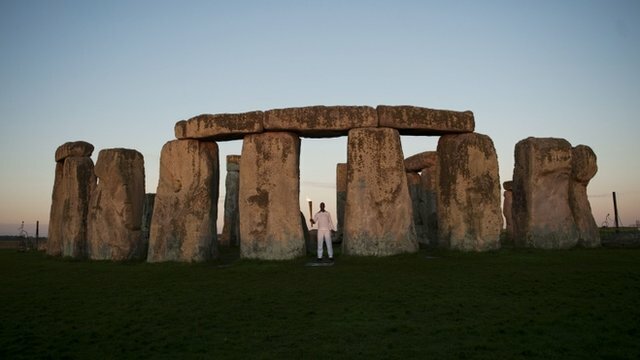 Michael Johnson has carried the Olympic flame on a dawn visit toStonehenge before the start of day 55 of the torch relay on Thursday. The sprint legend took his torch to the World Heritage Site as the sun rose. It ends up at the Olympic sailing venues of Portland and Weymouth for a boat trip into Lyme Bay. A total of 116 runners will carry the torch on a 107-mile route. After an early start to the day at the ancient stones – scene of a fire garden Cultural Olympiad event on Tuesday – the torch will travel back to Salisbury, where the world 400m record holder and four-times Olympic gold medal winner will set off the relay from Cathedral Green. The convoy goes from Salisbury to Wilton then through the Wiltshire villages of Barford St Martin, Fovant and Ludwell, where it will pass the famous chalk regimental badges cut into the hillside. Fire Garden, created by French outdoor fire alchemists Compagnie Carabosse, is set to transform the ancient stones of Stonehenge into a glowing fairytale environment where fire sculptures dance in the landscape and flaming fire pots animate the stones. The event is presented by Salisbury International Arts Festival as part of London 2012 Festival and runs tonight (Wednesday) and tomorrow night (Thursday) from 9pm until midnight (last admission at 11.30pm). Tickets are £3 and are bookable in advance only (under-16s go free and there is a charge for car parking). 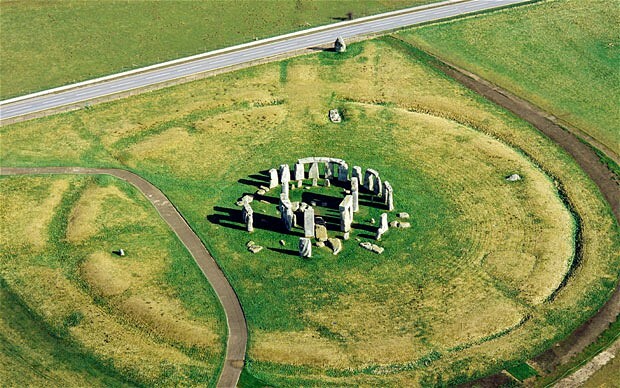 The mysterious monument in Wiltshire is one of the most famous tourist sites in the world. Each year it receives more than a million visitors, half of them from overseas. But while the stones themselves continue to amaze, Stonehenge’s setting and facilities have come in for withering criticism. Simon Jenkins, the chairman of the National Trust, has called the site a “national disgrace”. The principal problem is that Stonehenge is beset by traffic and roads – the always-busy A303, and the A344 that branches from it and passes close to the stone circle. The car parks become overcrowded in summer and the visitor centre is dated. Under the new scheme, which will cost £27 million, English Heritage promises “a landscape transformed”. The keystone of the project is the closure of the A344, part of which will be grassed over. The existing buildings and car parks will be removed and a new “energy-efficient” visitor centre built, with a shop, café, “education space” and galleries. An adjacent coach and car park will be built 1½ miles west of the stones at Airman’s Corner. A shuttle service will take visitors to the stones, and people will have the option of walking all or part of the way. The scheme has received cautious approval. Nigel Swift, the chairman of Heritage Action, which is dedicated to the conservation of Britain’s prehistoric sites, expressed “sheer relief and gratitude that a nightmare that has lasted for many decades is over”. 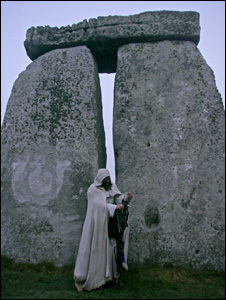 Frank Somers of the Amesbury and Stonehenge Druids, who regard the site as a temple, said he was “broadly happy that some improvements are finally scheduled to happen”. The A344 is due to close in April 2013 and the new visitor centre to open in autumn 2013. The area of the existing buildings will be returned to grass by the summer of the following year. Stonehenge will remain open during the building work. For more information, visit www.english-heritage.org.uk/stonehenge. Stonehenge, Charles Darwin and Worms – What’s the connection ? One of Charles Darwin’s lesser known scientific contributions was the study of the humble earthworm. But could his work on this underground creature provide valuable clues about the ancient site of Stonehenge? 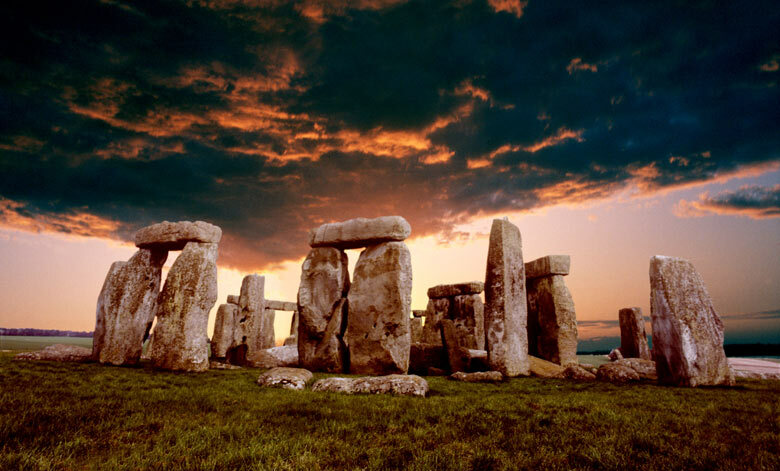 Stonehenge – clues in the earth. The earthworm plays a crucial role in improving soil fertility as it burrows beneath the ground. Its work helps us to live in a green and pleasant land as the worms aerate the soil. But as Darwin discovered, worms are also surprisingly good friends to archaeologists. Today this humble beast is providing clues about the history of Stonehenge and its surrounding countryside. Darwin’s studies of earthworms at Stonehenge involved some of the first scientifically recorded excavations at the site. They’re unusual because they were carried out not by an archaeologist, but by a naturalist. Darwin was interested in the action of earthworms in burying objects. Earthy solutions – the humble earthworm. Earthworm clues – Charles Darwin. objects settling down in the soil. In some cases they become completely buried by it. Dr Josh Pollard, one of the directors of the Stonehenge Riverside Project, has been assessing the importance of Darwin’s worm experiments at the ancient site. Pollard thinks he’s identified a fallen stone on the outside of the circle, and one that was split in two, as the subject of Darwin’s book – “Vegetable Mould and Earthworms”. Darwin discovered that earthworms are rather like archaeological JCB diggers. They eat the earth, it goes through their muscular tube, and comes out the other end as worm casts. This is where the earthworms interact with archaeology. The cumulative effect of millions of worms in a field chewing their way through the soil and depositing it on the surface is that they actually raise the surface of the soil. Darwin worked out that the soil increased in depth by 0.2 of an inch per year. After 10 years an object in the soil will go down two inches, and after 1,000 years it will reduce down 200 inches. The result on the ground is that things disappear and gently sink into the soil. To test this theory Dr Josh Pollard visited the site of one of his old excavations – the remains of a Saxon village on a farm overlooking Cheddar in Somerset. Since his last visit a decade ago the landscape has changed – and it’s down to the efforts of the earthworms which have worked their their magic. So should archaeologists be worried about the impact of earthworms? “When you’re finding small objects through the layer, they needn’t have started out in that layer, they may have started out higher up in the slightly later layer. So does this and Darwin’s research mean that the dating of Stonehenge, could be completely wrong? And could the activities of earthworms continue to alter the landscape of Stonehenge in 100 year’s time as objects and stones sink deeper into the ground and get covered by soil? 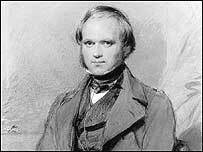 To modern minds Darwin’s work on natural selection was far more important than his study of the humble earthworm. But to archaeologists he founded the modern science of soil, and provided some clues about the changing landscape around Stonehenge. Merlin says “Darwin also ate owls! Darwin was an inquisitive man. Sure he was curious about nature and all that science stuff, but he’s also a guy. So when he saw strange animals, he often wondered what they would taste like. The difference between Darwin and the rest of us is that he actually ate ’em!